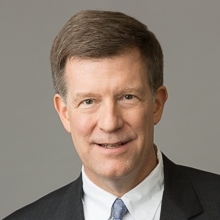 Jeffrey S. Sharp is the Managing Partner of the Firm. He is a registered patent attorney with more than 30 years of experience in patent prosecution, litigation and transactional work who focuses his practice in the areas of biotechnology, chemistry, and chemical engineering. Mr. Sharp has handled matters in a wide variety of biotechnology disciplines, such as pharmaceuticals, nutraceuticals, and gene therapy; recombinant nucleic acid technologies, including plant biotechnology; and in-vivo and in-vitro diagnostic and gene-sequencing methods. He has also gained successful outcomes in diverse chemical and chemical engineering technologies, including organic, inorganic, and metallurgical chemistry; chemical and metallurgical processing; and food and beverage chemistry. Mr. Sharp is recognized as a committed advocate on behalf of the Firm’s clients, qualities recognized by his Martindale-Hubbell® AV Peer Review Rating™ and other recognitions. He was selected by the Chicago Law Bulletin as a “Leading Lawyer” and in recognition of his outstanding patent work in life sciences, has been featured as a “Life Sciences Star” in LMG Life Sciences, 2012–2018. Mr. Sharp was selected for inclusion in the 2013–2019 Super Lawyers® lists. Only five percent of the lawyers in the state were selected for this honor. He was also selected by his peers for inclusion in the 2016–2019 editions of The Best Lawyers in America© in the practice area of Patent Law. Since 2013, Mr. Sharp has been recognized as an “IP Star” in Managing IP's IP Stars Survey (fka the World IP Handbook and Survey), and has also been selected as one of the “World’s Leading Patent Practitioners” from 2013–2018 by Intellectual Asset Management (IAM) magazine. Provide counsel to create an important patent portfolio for a company with innovative chemical technologies useful for industrial and food uses. Successfully prosecuted patents for improved drug discovery technologies as well as for important tissue transplantation screening technologies. Pharmaceuticals, nutraceuticals and gene therapy. Recombinant nucleic acid technologies, including plant biotechnology. In-vivo and in-vitro diagnostic and gene-sequencing methods. Organic, inorganic and metallurgical chemistry. Beyond his extensive prosecution, counseling and opinion experience in these technologies, Mr. Sharp has participated in numerous inter partes patent matters including patent infringement litigation before U.S. District Courts, patent interference proceedings before the U.S. Patent and Trademark Office and patent opposition work before foreign patent offices. Mr. Sharp received his J.D. from the University of Georgia School of Law in 1984. He received his B.S.E. in chemical engineering from Princeton University in 1980. “Sharp Wants a Paperless Office,” Chicago Daily Law Bulletin, Law Firm Leaders, April 17, 2012 (interview). “Challenges of Intellectual Property and Branding on Regulatory Approvals,” Co-author, chapter for Nutraceutical and Functional Food Regulations in the United States and Around the World (Academic Press, July 2008).